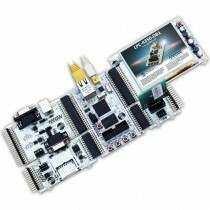 Diolan offers a wide range of evaluation boards for NXP Cortex-M microcontrollers. To reduce the price of our evaluation boards, they include only the most significant peripheral components. The functionality of these evaluation boards can be expanded with a wide range of extension boards. All of the evaluation boards are pin-to-pin compatible and are easily interchanged.